Ever been jolted out of a deep sleep? Picture this. It's around 3:30 in the morning, I'm 37-weeks pregnant, and suddenly, I'm awaken by strong contractions. Yes, it was a reality for me about a week ago. My other two pregnancies were overdue at 41-weeks, so at 37-weeks, I felt unprepared. Could these contractions be the beginning of true labor? I didn't want to wait around to find out. Instead, I woke up my husband and startled him with, “I think this is it. Call my mom.” Without delay, he was on the phone. Yes, it seems a bit hasty in retrospect, but in the moment, it seemed like the right thing to do. Did I mention my labor with my youngest was a precipitous labor? It lasted a total of an hour and forty minutes. We barely made it to the hospital in time. Thankfully, as soon as we arrived, a nurse was able to deliver my daughter. With my third pregnancy, my midwife warned me of the possibility of another fast labor. Wanting to avoid an unplanned home birth, my husband and I agreed to drive to the hospital once labor began. So, around 4:00 in the morning, my husband drove to the hospital as soon as my mom arrived to watch our girls. The drive was short; however, the air was full of tension. As I breathed through the contractions, I also felt as if I was breathing through a state of panic. Why am I so fearful? As my body revved up with labor pains, anxious thoughts weighed heavy on my mind. And it was then, in those moments, my deepest fears of labor were exposed. Would this labor be as traumatic as my last one? Only time would tell. And, evidently, time did tell. Time revealed my contractions were symptomatic of false labor. Yep, that's right. No baby yet. Time also revealed unresolved anxiety of my upcoming labor and delivery. The hidden worries I kept quiet within my mind were now exposed. God surfaced what needed to be dealt with. So, for the remainder of the day, as I laid low at home, God led me into his Word and into deep communion with him. What can we do when we are faced with anxiety? Look up Scripture verses to remind you of God's promises. If you need help, you can download a few of them here. This is your opportunity to ask for specific requests pertaining to any fears or worries you have. If you are unaware of contributing fears, ask God to reveal them to you. Think of all the times God has worked in your life. Thank him for all the times he was faithful. This is when faith steps in. After you “by prayer and petition, with thanksgiving, present your requests to God,” (Philippians 4:6), then choose to trust God with your requests. Choosing to trust God will likely be a reoccurring act, especially when you are faced with anxiety again. 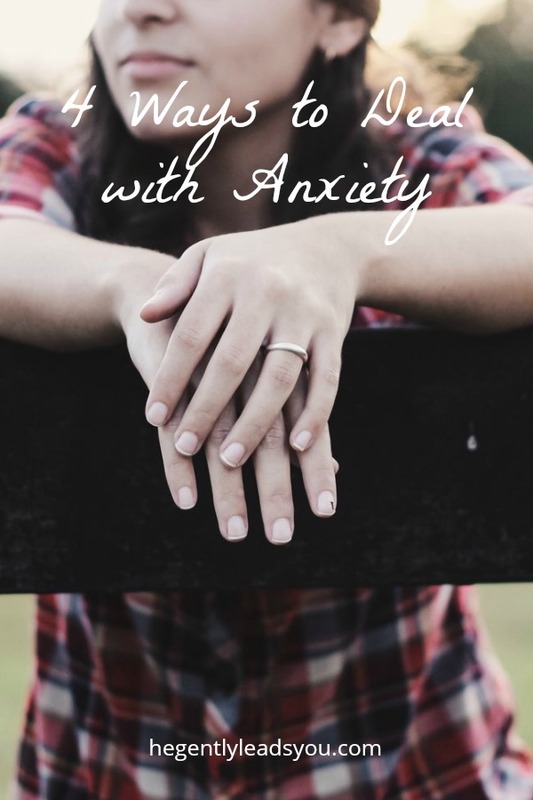 This week we will study what the Word has to say about anxiety. Please click here to download the reading guide. Let's begin by taking a closer look at Philippians 4:6-7. What does God promise in this verse? What worries are you holding onto today? How can you receive God's peace (according to this verse)?